Hopefully you’ve made the Sole Meuniere that we posted back in February… it’s perfect for summer – light, fresh, and delicious. We decided, in an attempt to use our extra endives, to make mini sole meuniere bites served in endive leaves. 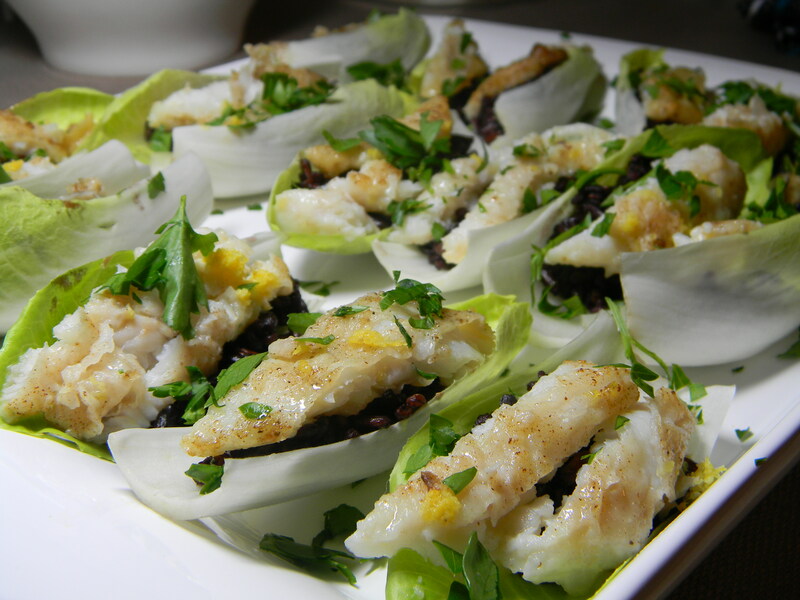 We stuffed the endives with cooked black rice, and topped them with small slivers of sole meuniere. They were very delicious and fun to eat. I love making something NEW with a familiar recipe. Also, if you’re curious to see more details (including a copy of the menu!) about Gardner’s birthday dinner at Woodfire Grill, click HERE. Happy almost weekend! This looks amazing – seriously like something out of Gourmet! Great pictures!